We are very proud to announce that last weekend our Maxi 1200 Baldur won the Bank of England Regatta. The Bank of England Sailing Club Crew won the Commodore’s Cup for the first boat home in the Pursuit Race, and also the Bank of England Bowl for winning the IRC Race series. The two races on Saturday were in 20 knots of wind when Baldur achieved 12-13 knots with the kite up and 7-8 knots to windward. 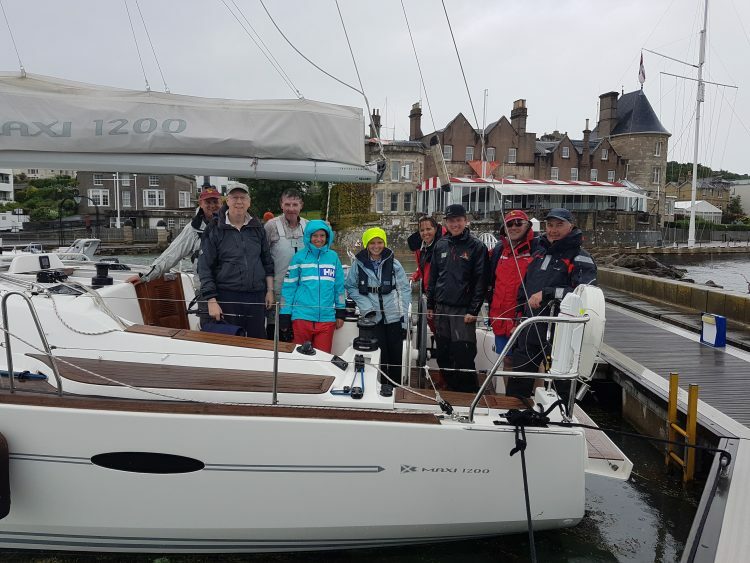 They also won the only IRC race on Sunday in very light airs only made possible in spring tides by the skilful timing and course selection by the Royal Ocean Racing Club races officers who organised the races. If you’d like to help build Baldur’s race credentials, do get in touch – she’s already proved she’s got what it takes to win! Take a look through the key hole….